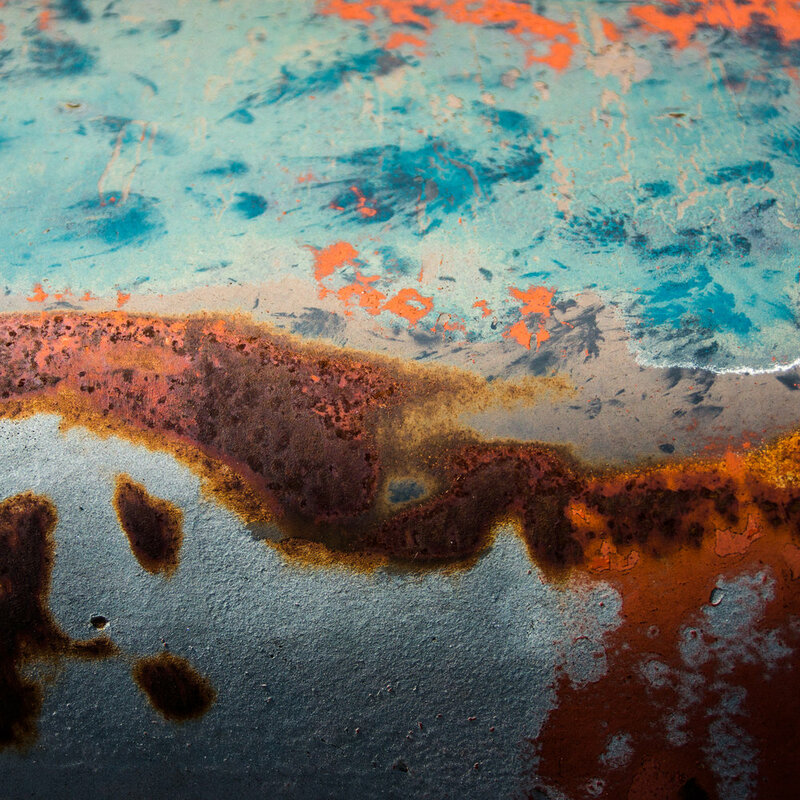 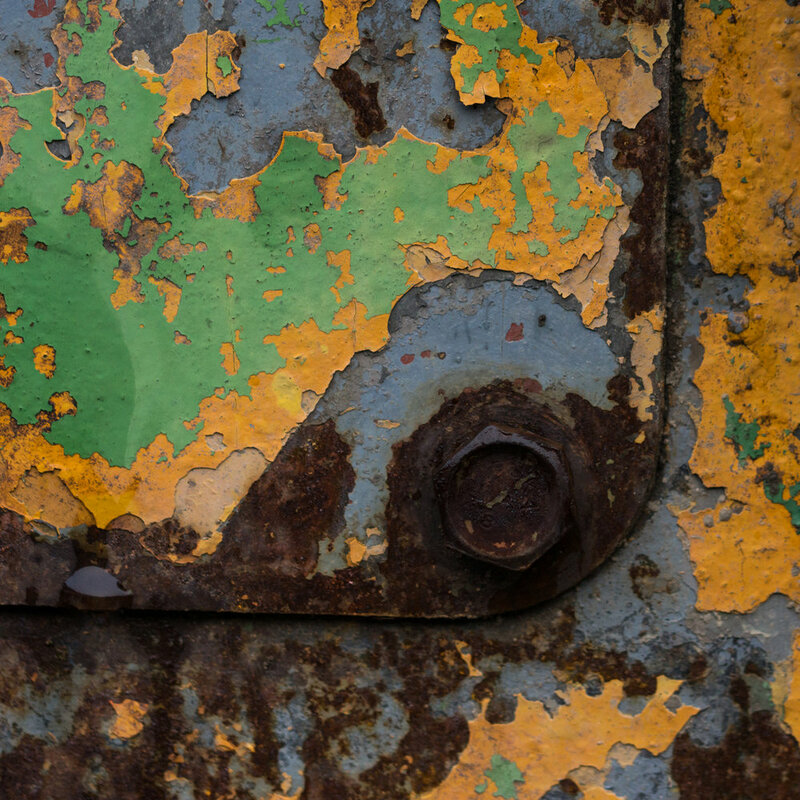 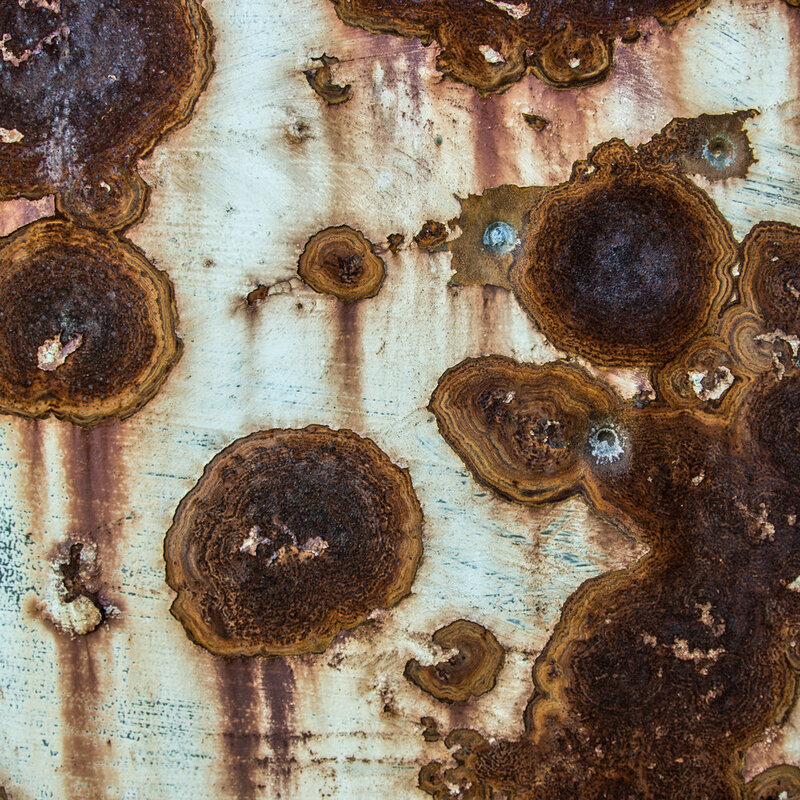 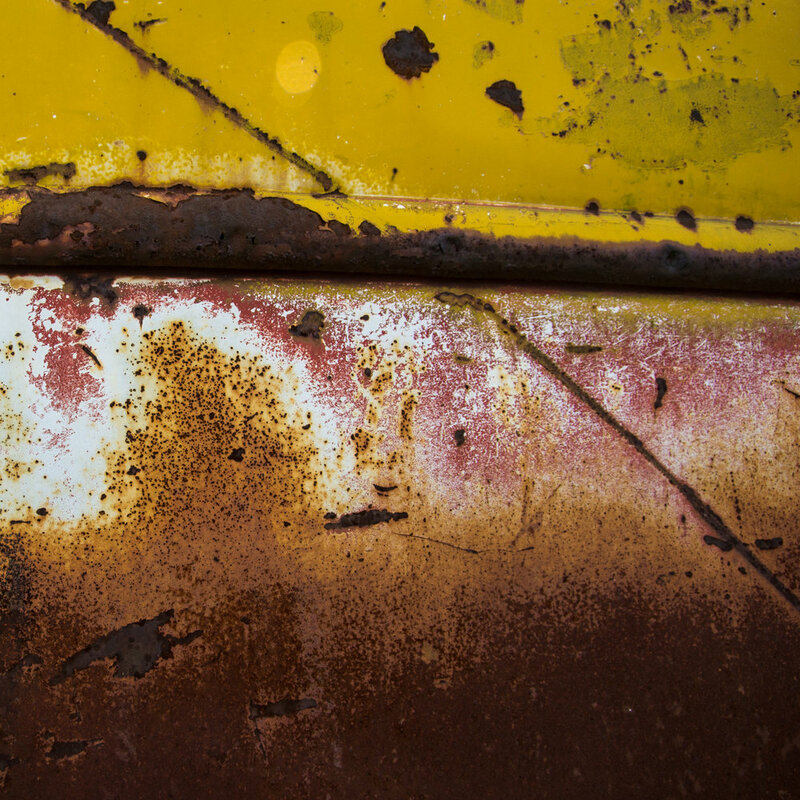 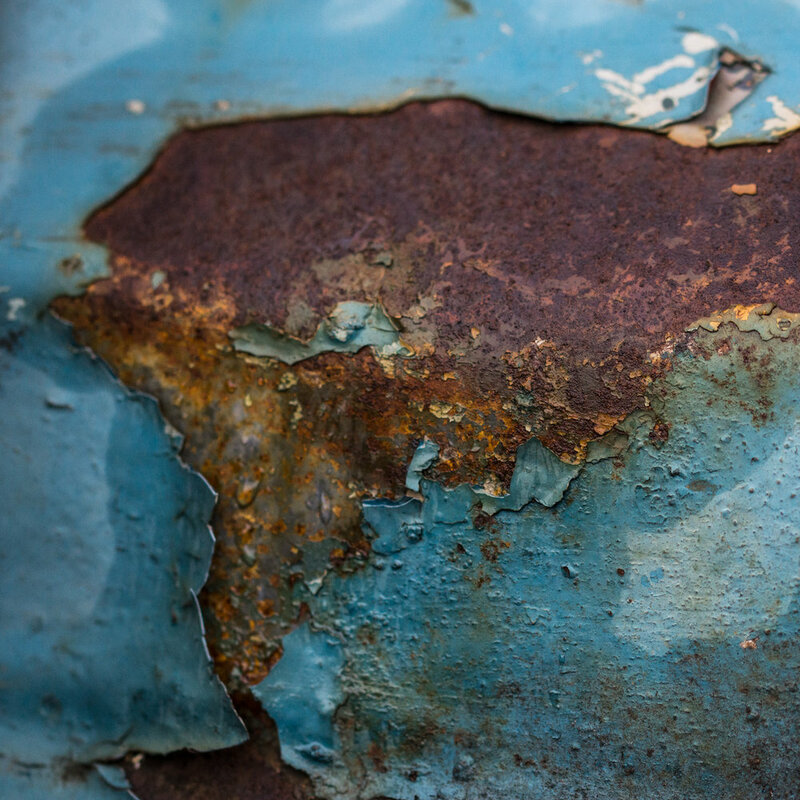 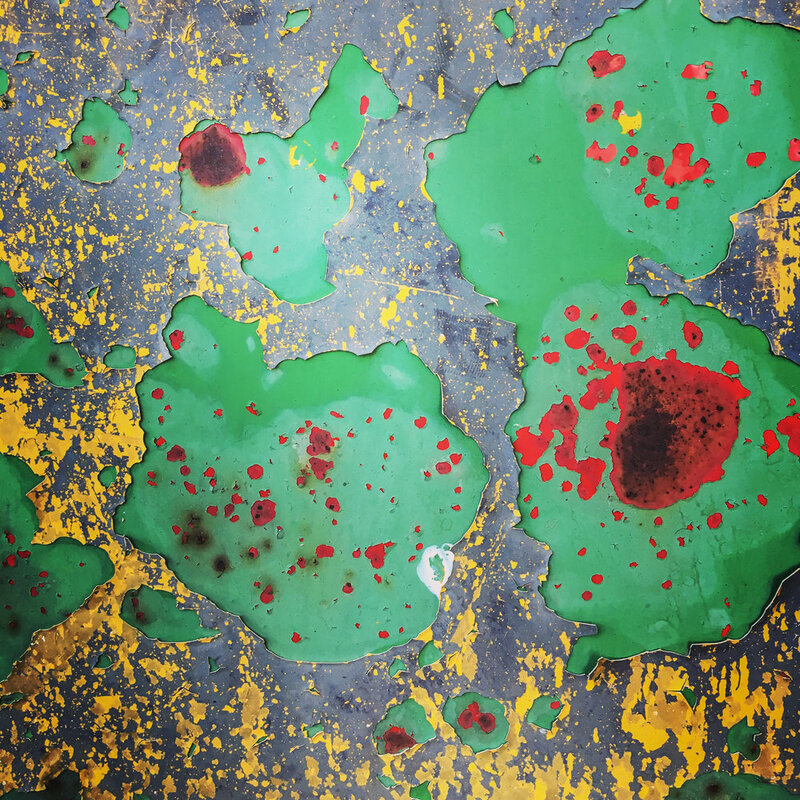 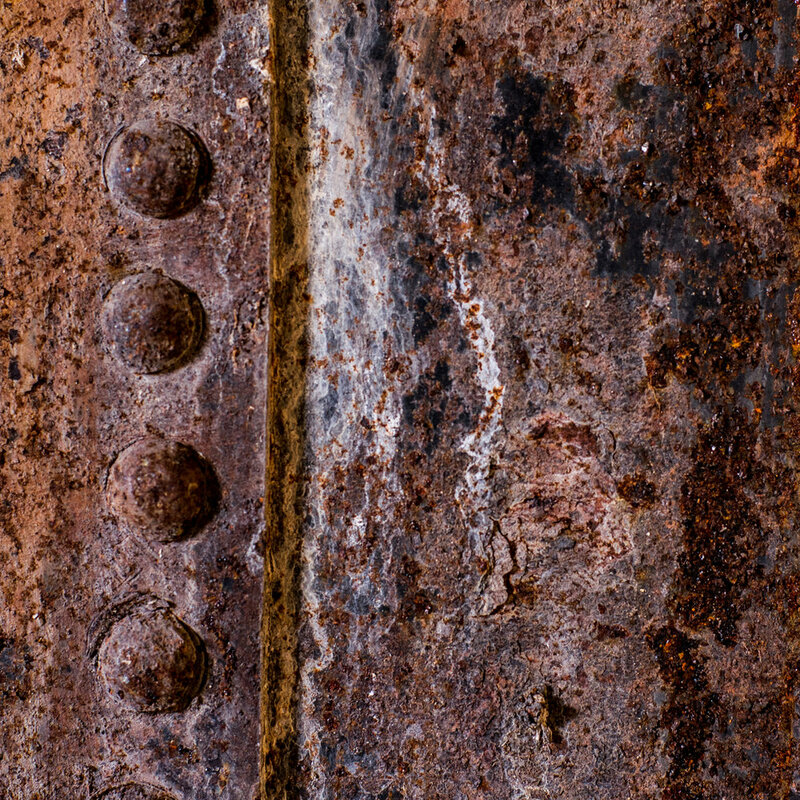 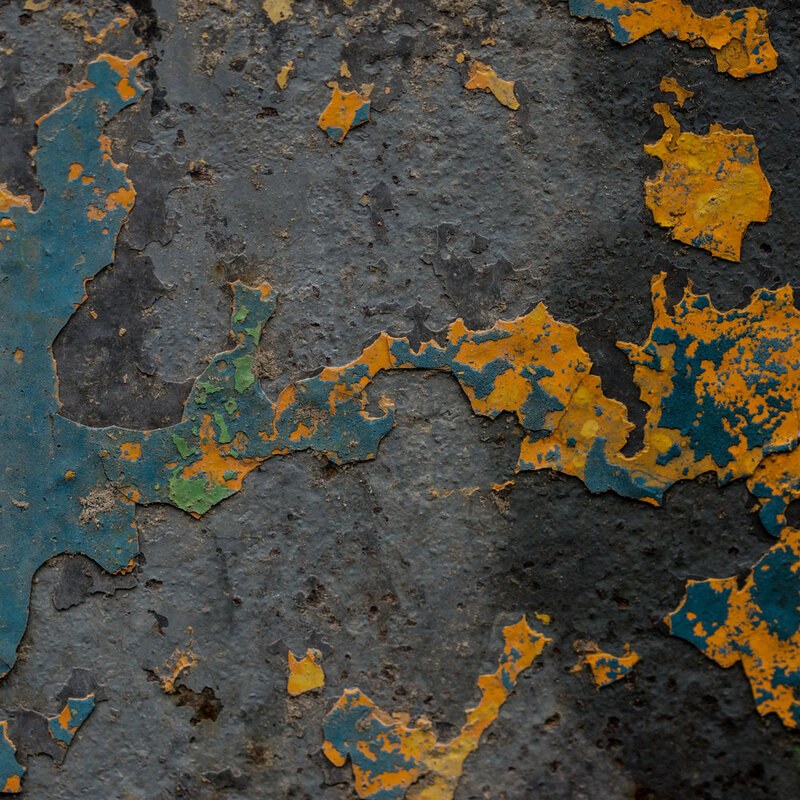 Rust - a chemical reaction, which occurs when iron is exposed to oxygen and moisture. 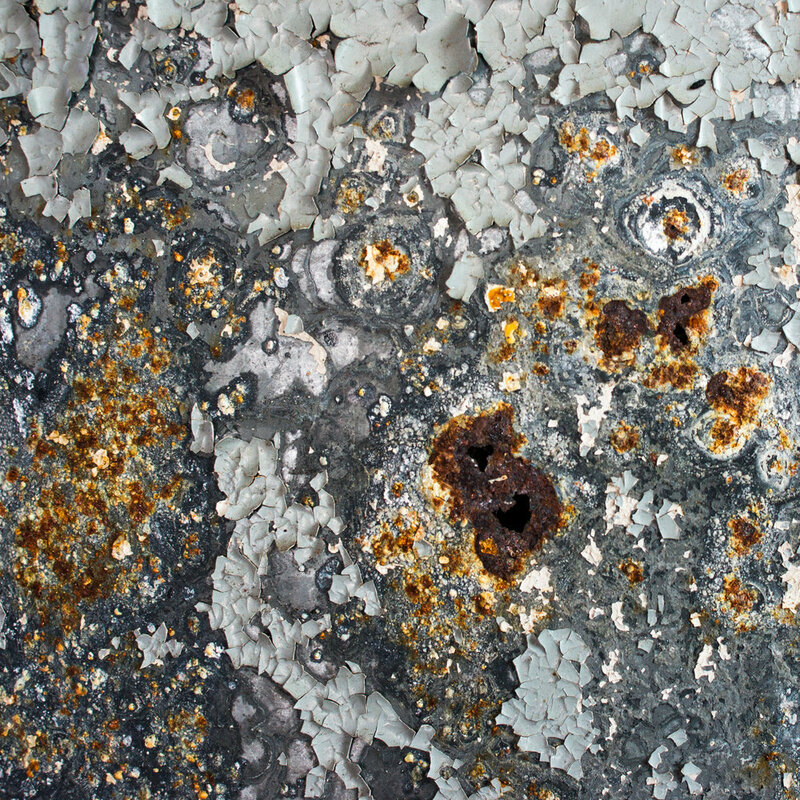 Given sufficient time, oxygen and water, any iron mass will eventually convert entirely to rust and disintegrate. 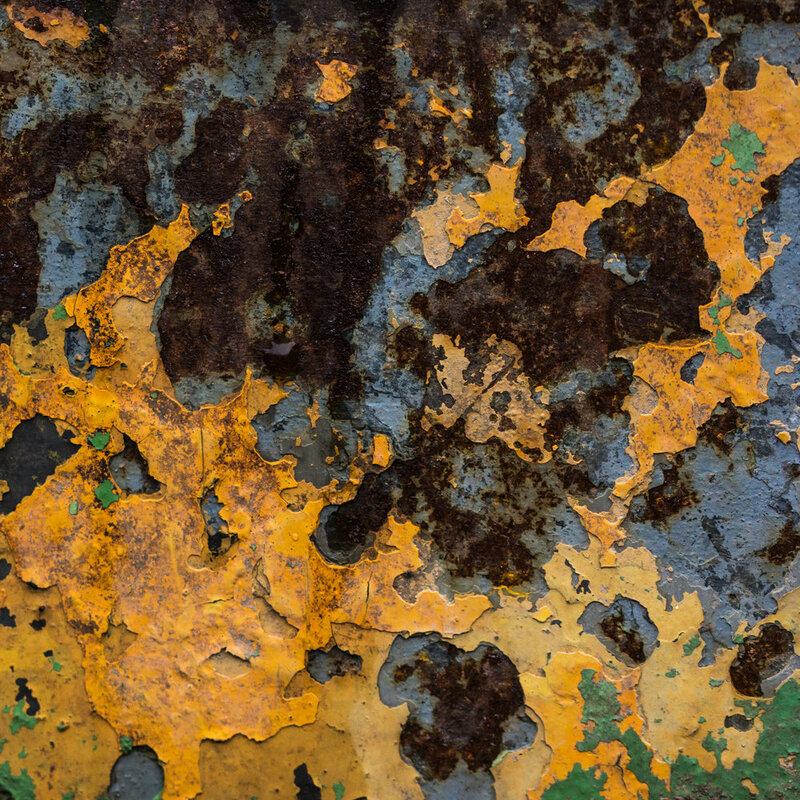 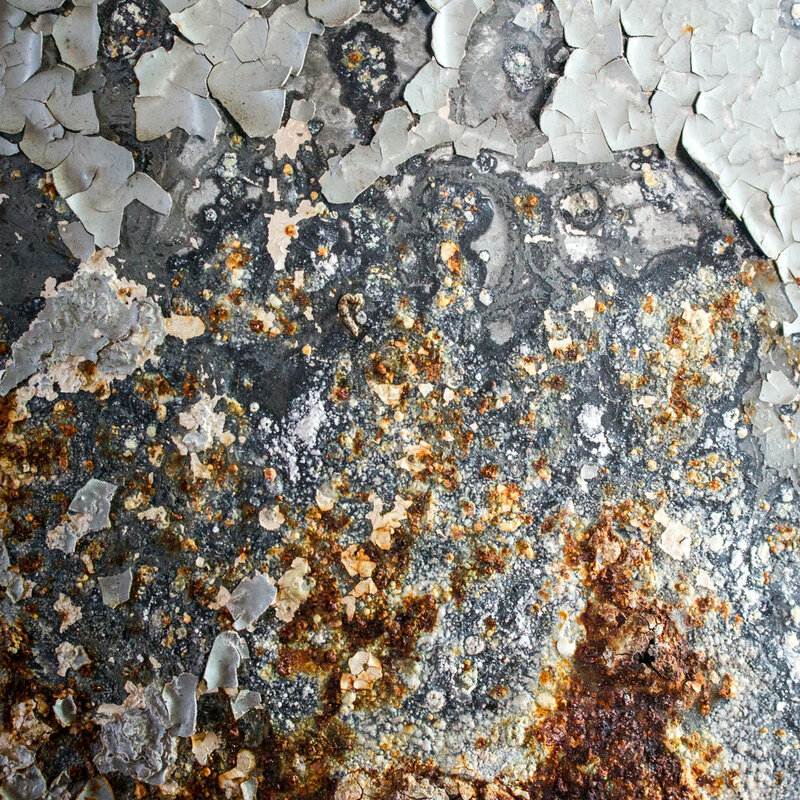 But before this happens, rust creates beautiful landscapes of decay.